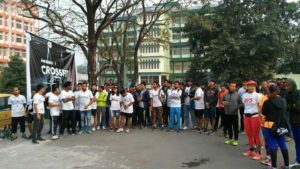 A half marathon was organized by Girijananda Choudhury Group of Institutes on Saturday morning in Guwahati as part of its annual event ‘Euphuism’. The half marathon was flagged off at the campus of Girijananda Institute of Management and Technology at Azara on the outskirts of the Guwahati city and culminated at the Lokpriya Gopinath Bordoloi International Airport (LGBI) at Borjhar. The half marathon dubbed as ‘Eunoia’ was aimed at the objective of the institute to create a beautiful world. 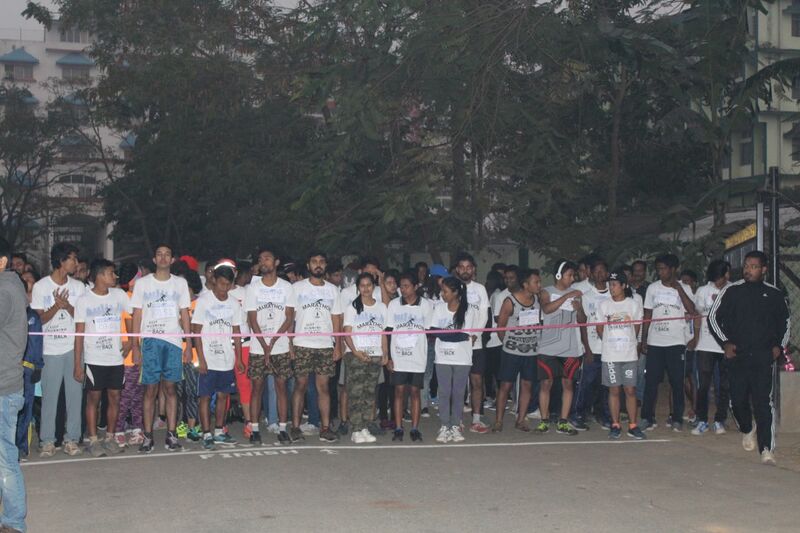 The half marathon was aimed at creating awareness among the youth towards building a health and progressive society. The half marathon was flagged off by president of Srimanta Shankar Academy Senior Secondary School and established mixed martial arts pro fighter and captain of MMA pro fighting franchise, Bhabajeet Choudhury. Over 400 enthusiastic participants from across the north-eastern region ranging from varied age groups participated in the half marathon and also praised the initiative of the Girijananda Choudhury Group of Institutes.